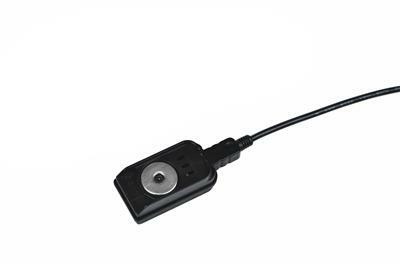 RPM Sensor for use with MyChron3, and MyChron4. Cylinder Head Spark Plug temperature sensor. 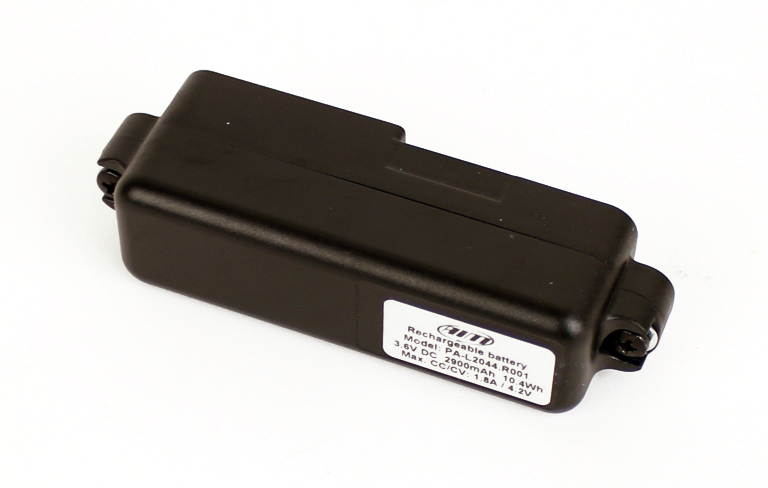 Sensor used with either the MyChron3 or MyChron4 to read H20 temperatures on water cooled kart engines. Allows the operator to run 2 temperature readings into one temp lead from the MyChron. 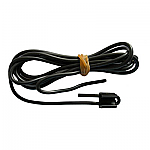 Exhaust Temperature sensor that plugs directly into one of the temperature ports on your MyChron. Download all your data for further analysis on your PC or laptop. Use with a MyChron Optic Receiver, for quick and reliable lap times displayed on your AiM MyChron dash instantly. Now it is possible to start running and immediately get lap times without any previous operation, leaving old systems out: neither infrared or magnetic beacons nor track inspections before tests. Same features as the MyChron4 but capable of taking up to 2 Temperature Readings. 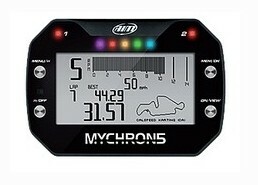 The MyChron4 2T is a powerful data aquisition gauge and digital display for kart racing. Aim Mychron5 GPS Laptimer with Sensor for Kart Racing, enters a totally new dimension: besides sampling all your kart data, the Mychron5 features all the advantages of a new concept GPS plus a lot of new functions, designed to provide more complete and reliable information. Lap and split times, speed, RPM and one temperature as well as position on track, acceleration and much more. The MyChron5 has been designed to provide either basic info to newbies and the most sophisticated data to karting professionals. MyChron5 2Talso samples a second temperature at your choice. Always have spare MyChron 5 batteries charged and ready to go when you hit the track! Keep a charger at home and at the track! Always have your MyChron 5 batteries charged and ready to go.